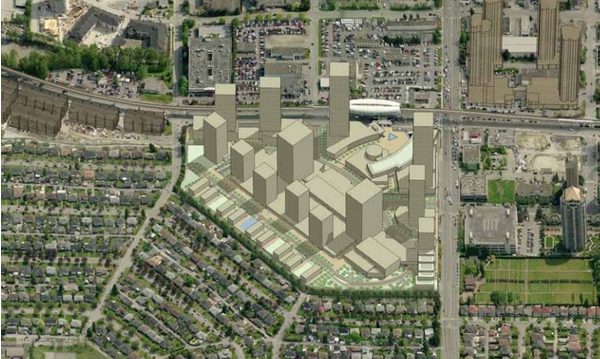 As Gordon Price points out, there are three big Lower Mainland shopping centres looking at redevelopment. Two are in the midst of the (re-)planning stage, one is being renovated as we speak. The reconsideration of the latter two is being driven by close connections to mass transit. The other? Not so much. But there is one common fundamental: both are being driven by the arrival and presence of rapid transit. Which, come to think of it, makes them interesting comparisons with Guildford Mall in Surrey, currently undergoing redevelopment. 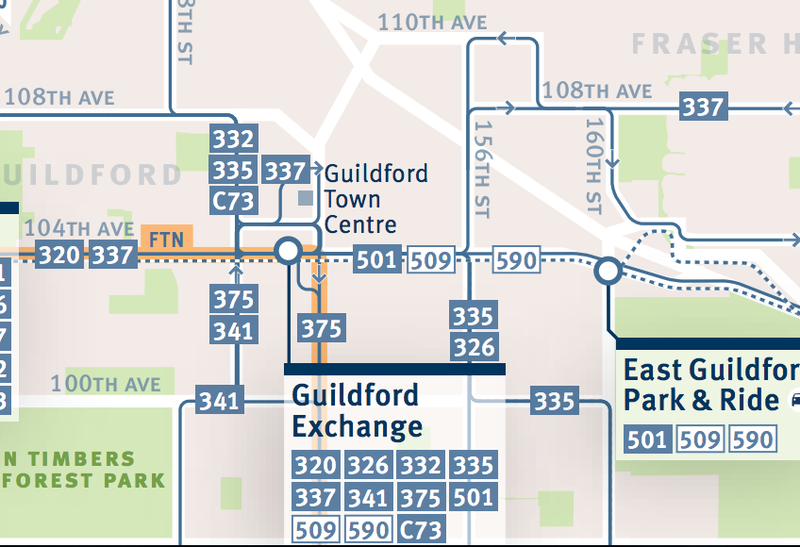 Only Guildford, given the nifty new interchange at 152nd Street and the absence of any serious transit, will be almost entirely car dependent. As Price seems to be suggesting, the implication of having a 70-storey tower at Brentwood Mall in Burnaby is it would extra-dependent on moving people in and out of the area through modes other than a car. There’s not exactly a lot of road-bed that could be added to the area, and the Millenium Line stop is *right* there. 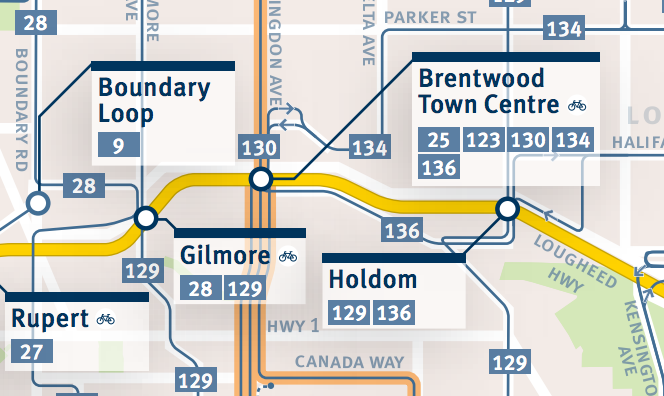 The Brentwood plan is comprehensive and very, very interesting. So, what of Guildford, which is a year away from opening the new addition? That’s transit variety. People are being moved in multiple ways (including bikes – the Central Greenway is absent from the map). There’s rapid transit and lots of routes covering a diversity of locations. Not quite the same story in Guildford is it? It’s the old story, give people the option to use transit, and they will use it. Hey Chicken, stop waiting for Egg. Get moving!